Every night has a soundtrack. Nick O'Leary is a straight guy who plays bass guitar in gay band who call themselves The Jerk-Offs. Nick hasn't quite recovered from his former girlfriend, Tris, breaking up with him. After six months, he tries wooing her with breakup mix tapes. Bandmates Thom and Dev dislike Tris. Norah shares Nick's musical tastes and rescues the discarded tapes. The Jerk-Offs play a gig at a local club. Norah attends and gets cozy with Nick while impressing Thom and Dev. Tris, who dislikes Norah, decides she wants Nick back. Norah gets the impression that he is still interested in Tris. Tris seduces Nick after getting him to drive her to the riverfront. 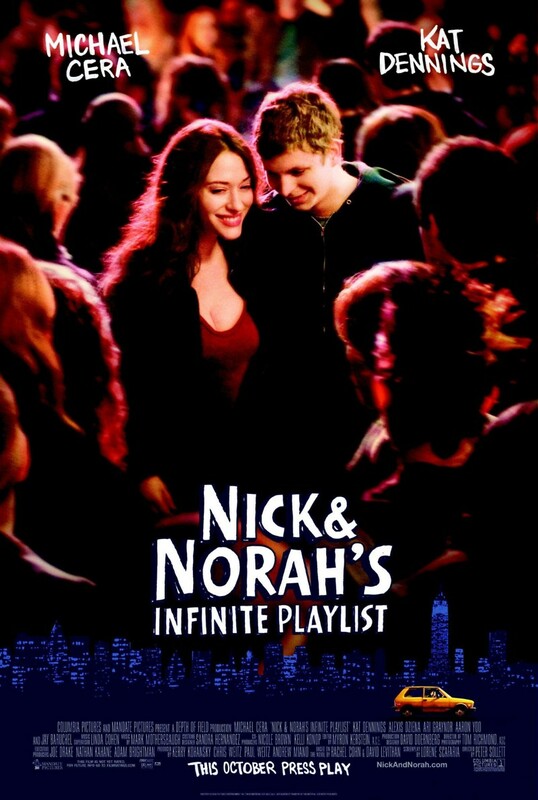 But, Nick realizes that Norah has something special. He must find Norah and apologize.